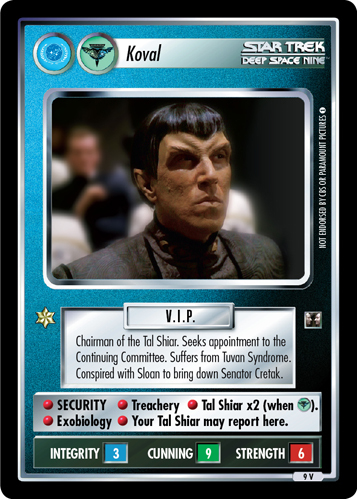 Chairman of the Tal Shiar. Seeks appointment to the Continuing Committee. Suffers from Tuvan Syndrome. Conspired with Sloan to bring down Senator Cretak. 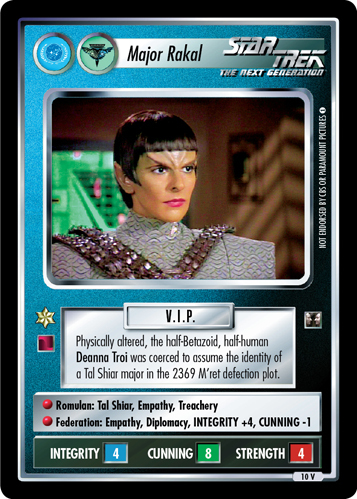 • SECURITY • Treachery • Tal Shiar (when ). 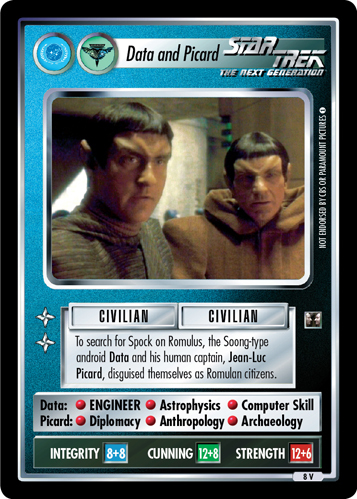 x2 • Exobiology • Your Tal Shiar may report here.